Government warned Terror Laws "inherently dangerous, draconian and open to misuse"
John North, Law Council of Australia: "In times of fear, it is easy for governments to impose ever (more) draconian laws." The Forbes conference officially gets underway today following an opening dinner where our beloved War Prime Minister John Howard spoke to the 360 world business leaders attending. Last night activists broke through a 2m high concrete-and-wire perimeter fence erected to keep them away from the Forbes Global chief executives conference being held at the Sydney Opera House. Due to "medium security" fears, the venue for the dinner was switched at the last minute to the Overseas Passenger Terminal at Sydneys West Circular Quay on the opposite side of the Harbour. What's this got to do with the new Terror Laws? The proposed Terror Laws aim to make it an offence to encourage, justify or glorify terrorism anywhere in the world. It also wants wider powers to ban radical groups. Ruddock's Laws attempt to reduce the risk of terrorism in Australia but could be "inherently dangerous" and open to misuse. For example, by simply voicing support for the Iraqi insurgence are we breaking the law? Should we perhaps be defining the very meaning of what "Terrorism" is? For breaking fences are we breaking Ruddock's Laws? Are our views now subjected to stringent government scrutiny? Just what is "condoning" terrorism? Can't the Invasion of Iraq be construed as an act of Terrorism? The Law Council of Australia urged the Government to refrain from introducing "possibly draconian" laws without full public consultation. A new Age Poll reveals growing public anxiety about terrorism in Australia, with more than two-thirds of people now believing an attack on home soil is likely within two years. Law Council president John North, says: "Laws of this type in a robust democracy are inherently dangerous and open to misuse by those with ulterior motives," Mr North said. For such laws to be introduced, surely there should be wider community consultation? The introduction of any laws that seriously restricted freedom of speech and expression should be discussed and debated at length. You'd think! Attention should also be paid to avoid directing laws at specific sections of Australia's multicultural community - in particular the Muslim community. Especially in light of Bronwyn Bishop's offensive comments about Muslim girls wearing headscarves to school! Should wearing a Cross be against the law? It makes little sense to accept draconian laws that will become a second threat to Australian freedoms and values. The Government is now modelling itself on British laws that will significantly widen the range of activities that could be seen as encouraging, glorifying or inciting terrorism. In the wake of the [false flag] London bombings, the Blair Government wants to create a new offence of "fomenting" terrorism, which will make it criminal to encourage someone to carry out a terrorist act or to condone terrorism anywhere in the world. Yes that's right to CONDONE terrorism. Isn't the Coalition of the [K]illing an act of State Terrorism? The new crime of "fomenting terrorism" may include writing or distributing material, including verbally or on the internet, that justified or glorified terrorist violence. Why should we blind-clone what is being done overseas when Australia has rigid laws in place already? The government's stance on "terrorism" reeks of fascist intent and makes the nature of dissent a potentially dangerous act. Furthermore: "It must be remembered that these laws may well attach to all sections of the community - including our media outlets - and it has the possibility of severely curtailing freedom of speech. In times of fear, it is easy for governments to impose ever (more) draconian laws. Australians ... should look to their government not to change laws without a proper forensic reason." 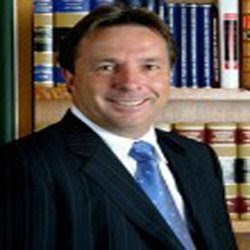 John North, Law Council of Australia. Should we allow our freedoms of expression to be undermined? The Community will keep an eye out for police violence while they are having fun demonstrating and protesting the Global Forbes conference today.